What is the Police Officer Final interview pass rate? This is a question we get asked time and again at How2Become.com and in this blog we will aim to answer it for you. However, before we disclose what we believe to be the pass rate for the police officer final interview, let’s take a look at what this stage of the police selection process, involves, some sample questions and tips on how to prepare effectively. The police final interview is designed to give police force’s a more thorough look into you, your qualities, attributes and whether or not you can deliver the aims and objectives of the service you are applying to join. On that basis, the police final interview pass rate is higher than those who attend the National Police Officer Assessment Centre, simply because the filtering process is almost complete. In a nutshell, if you have made it to this stage of the process, you have a good chance of passing. 2. Why do you want to join the police and become a police officer? Why so you want to become a police officer? Why do you want to join this police force? What have you been doing to get police fit? What experience do you have of working in the community? When have you worked as part of a team? What are the priorities of this police force? How would you deal with a difficult member of the public? You will notice that the above police final interview questions are different to that of the assessment centre, and on that basis, these will give the police interview panel a more detailed insight into you and your personality. WHAT IS THE FINAL INTERVIEW PASS RATE? We believe that, on average, every third person who attends the police final interview will be successful. That makes the pass rate, in our opinion, 30%. Of course, on any given day that pass rate can change and it is all very much dependent on how you answer the questions. It is our strong belief that, if you prepare fully, you will pass. However, if you are looking for the police final interview pass mark, as opposed to the pass rate, we understand it to be around the 70% mark. 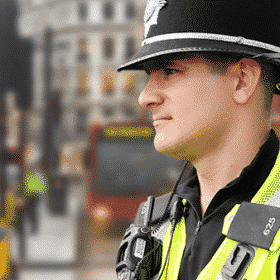 So, now we have disclosed our views on the police final interview pass rate and pass mark, let’s close this blog with some sample questions, answers and tips for helping you succeed. QUESTION 1 – Why do you want to become a police officer? QUESTION 2 – Why do you want to join this police force? The good news is, you shouldn’t have to wait too long to find out the results of your police final interview. More often than not, the police force will let you know the following day, or usually at the very latest, within a week! This is great news because you don’t have to wait too long before finding out whether or not you have been successful. If you are unsuccessful, most police forces will not let you apply again for 6 months. Whilst this may feel like a blow, try to obtain some feedback from the police force as to why you failed and what you can do to prepare better for next time. This entry was posted in Police, Interviews. Bookmark the permalink. It’s great to hear that you are interested in working for the police. Check out our product page on How To Become A Police Officer, for more information.